Power Cool Equipment has been a cold storage supplier for more than a decade. Throughout our 14 years of existence, we have been able to sustain company growth, steadily developing and expanding within the freezer supplier industry. With increasing market demand for versatile and dedicated providers, we at Power Cool continuously cater to market and client demand. Steadily establishing our presence all over the country, Power Cool products are now widely distributed all over Malaysia and Indonesia. As the company continue to establish itself as the leading freezer supplier in the Malaysian market, we further strive to penetrate into other foreign markets. Currently, our efforts in the Singaporean market helped create our freezer supplier brand while future efforts will be dedicated for market penetration in Brunei and the Philippines. To further build our freezer supplier reputation in the industry, we always ensure customer satisfaction and guarantee unvarying quality. We have a technical and quality control department implementing standard regulations and tests on company products. 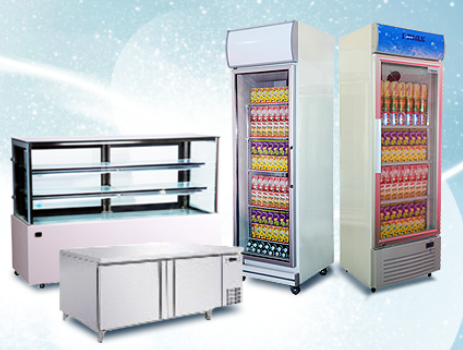 As a reliable industrial fridge supplier in Indonesia and Malaysia, we also offer custom made refrigerators for clients who have specific requirements for their cooling systems. Power Cool is the leading freezer supplier in the industry.